台灣是㕷台灣人的台灣，絕對不是中國人的台灣，㕷自己要學習把愛台灣保護台灣看顧台灣的責任扛起來。美國大法官奧利弗、溫德爾、霍姆斯 Oliver Wendell Holmes （1841-1935）指出㕷人的所有限制都始於自己 All limitations are self-imposed 。他又説，人活在世上，重要的並不只是我們在那裏, 而是我們正往那裏去？ I find the great things in this world is not so much we stand , as in what direction we are moving ; to reach the port of heaven , we must sail sometimes with the wind and sometimes against it , but we must sail, and not drift, nor lie at anchor. From 9:20am to 6:20pm, the symposium has lasted for 9 hours. You still have many questions left for discussion. No matter what the generation is, we have the strong awareness of crisis in the matter of Taiwan security and the democratic development. Through the 9-hour view sharing and discussion from the different scholars and perspectives, everybody here must have a better knowledge of Taiwan Relations Act (TRA). The most heartwarming thing is that through the video of “The Promise of Taiwan Relations Act”, we see so many members in the House of Representatives who are deeply attentive to issues in connection with the Taiwan security, the Taiwanese happiness, the concern of human rights of President Shui-Bian Chen and the desire of Taiwan being a country. We should give them the great applause and our heartily appreciation. 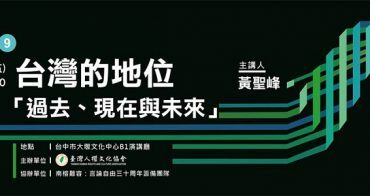 To have this successful symposium today, I am on behalf of the Taiwan Human Rights and Cultural Association (TWHRCA) to thank many people. First, I would like to thank Mr. Yang, the Chairman of Taiwan Association for China Human Rights. Without his great assistance, there is no symposium here today. With his devoting a lot of time these 6 months to associating with those VIP participants, we have the successful meeting. I would like to thank him again. The following I would like to thank all the co-sponsors. There are Yeh-Sen Chang the Chairman of Taiwan Society (North), Chin-Sheng Wu the Publisher of Brain communications, Yi-Nan Chen the Director of Taiwan Society (North), Chi-Chung Chang the Chairman of Ocean Voice Media Association, Tien-Chun Chang and A-Sheng, the President and Host of Taiwanese Club Live, Yoshi Liu the Chairman of Formoshock and his members, Chiu-Chin Tien the Legislator, Wei-Che Fu the Director of Youth Department of DPP and Ms. Pin-Yu Lai of Black Island Nation Youth. Then, I would like to thank all the professors, experts and scholars who love this land and people here, uphold the truth, pursue broad knowledge, devote themselves and share views. With their sharing, today we have an abundantly academic exchange feast. I would also like to thank the VIPs from the foreign offices in Taipei. There are Mr. Andrade from Embassy of the Democratic republic of Sao Tome and Principe, Mrs. Gwenyth Wang from Australian Office, Mr. Cho Baek Sang from Korean Mission in Taipei, Mr. Chih-Chen Lin from European Economic and Trade Office, Mr. Nikolay KOROVIN from MTC in Taipei, and Mrs. Sarah VANDY from French Office. 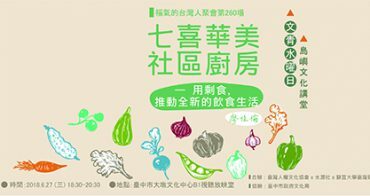 And, Jen-Hui Lin the Secretary of the Environmental Jurists Association, friends from the Center and South of Taiwan and students who skip the class today, I thank all of them very much. In addition, thank Ming-Yang Hsieh the Director of College of Law NTU, Secretary Mrs. Lei, and all the students who assisted in the arrangement of the place ahead and the welcoming today. Thank Chang-Chi Lin and Charles Ho our two Deputy Chairman of TWHRCA, Te-Hsing Lin our representative in the U.S. back from D.C., the biggest financial supporters both Harris Aloang our Executive Director and Tien-Tzu Huang our Executive Supervisor, James Liu our Secretary-General and our other administrative workers for their contribution. The last, thank God for the beautiful island of Formosa in which our future generations will continue to live. However, The ROC government (Taiwan authorities) is full of many negatives such as hypocrite politicians with injustice characters, with lies and without responsibilities. What is worse, Ma has been sugarcoating his autocratic policies by wearing the democratic mask under his regime. Most of his economic plans are to enter some sort of pact and to intend to make Taiwan economy deeply involve with China. By doing so, Taiwan will unlimitedly open its door to China. With the legislators’ running idle and asymmetric information, this is definitely a big threat to Taiwan. Not only will Taiwan economy go backwards but also national defense will become ridiculous. The ultimate goal of Ma regime is to lower Taiwanese people’s quality, inferior their dignity, bring pain to them, and darken Taiwan’s future. Oliver Wendell Holmes, an Associate Justice of the Supreme Court of the United States, remarked “All limitations are self-imposed.” He also said “I find the great things in this world is not so much we stand , as in what direction we are moving ; to reach the port of heaven , we must sail sometimes with the wind and sometimes against it , but we must sail, and not drift, nor lie at anchor.” Taiwan is Taiwanese Taiwan, absolutely not Chinese. It is time that the Taiwanese ourselves need to learn taking the responsibility of loving, protecting and looking after Taiwan. The Taiwan Relations Act is the US domestic law signed by President Jimmy Carter in 1979. 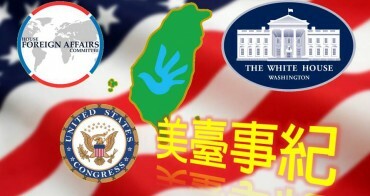 The Act, whose position is next to the US Constitution, has specified the relations between the US and Taiwan. The Taiwanese people can bravely move toward in pursue of the common value of justice, freedom, equality, democracy, autonomy and by referring to the Act. It is our rights to pursue being the owners of Taiwan. We will never retreat. A government composed of its people bears the responsibilities of taking good care of them. When it becomes autocratic, a revolution must be inevitably carried out by the people. God bless you! God bless Taiwan! See you in the TRA 36 Anniversary Symposium next year! !